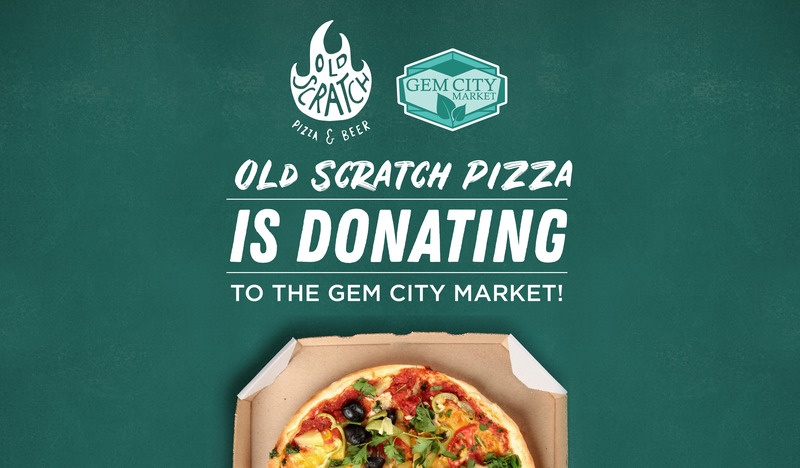 Join the Gem City Market in taking over Old Scratch Pizza for a night on Tuesday, December 11th! From 5pm til closing Old Scratch Pizza will donate 10% of all sales to the market! Bring a friend and stop by for delicious pizza, drinks, and dessert to support the Gem City Market! All December long is Cones For A Cause at Old Scratch Pizza, so make sure to get a cone after your pizza and 100% of your donation will go towards the market!